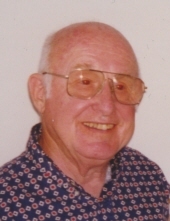 Ralph C. Schwartz, 92, of Rochester Hills, formerly of Berkley, died peacefully on Saturday, December 1, 2018, at Sanctuary at Bellbrook in Rochester Hills. He was born Thursday, June 10, 1926, in Detroit to Clarence and Leonore Schwartz. Ralph loved to laugh, to tell stories, and to play with his children and grandchildren. He enjoyed relaxing in northern Michigan, especially while holding a fishing rod. He was a voracious reader, visiting his local library three or four times a week. Ralph proudly served as an Aviation Radioman 3rd Class in the US Navy during World War II. He and his beloved wife, Dorothy, grew up in the same neighborhood, but did not date until he returned home from Navy service; they married two years later. Ralph held a variety of credit-related jobs for many years, until becoming the first full-time manager of the Our Lady of La Salette parish credit union (now the Berkley branch of Vibe Credit Union). Ralph enrolled in Detroit College of Law in 1962 and, while continuing to manage the credit union, graduated four years later. After passing the bar, he established a private practice; in 1979 he was appointed the Berkley City Attorney and served in that capacity until his retirement in 1990. He also taught real property law at Lawrence Institute of Technology for a short time. Ralph and Dorothy were involved in their community and church in many ways. Ralph was a Berkley city councilman from 1959 to 1962, county commissioner (appointed) from 1966 to 1968, board member (and ardent supporter) of the Berkley Public Library, and president/board member of the La Salette Credit Union board. He was a member of the American Legion, Lions Club, Jaycees, Elks, and Knights of Columbus. He felt that his community---his family, friends, neighbors, and colleagues---inspired and helped him achieve his accomplishments, and believed it was his duty to pay them back, particularly in private ways that would not bring him public recognition. Surviving are his wife of 70 years, Dorothy, whom he married October 2, 1948, in Detroit; his children, Steven (Laura) Schwartz, Christine (Frank) Sorentino, Jeffrey (Barbara) Schwartz, David Schwartz, and Carol (James) Schwartz; grandchildren, Anthony (Stephanie) Sorentino, Dianna Sorentino, Gregory Schwartz, Jaclyn (Brandon) Schwartz, Patricia Schwartz, Stephanie (Philip) Barr, and Joseph (Amy) Semann; grandson-in-law, Mitch Metzger; and great grandchildren, Ryleigh, Benjamin, Fiona, Michael, Ariya, Avery, Euan, and Willem. He is preceded in death by his parents; siblings, Jeanne (Richard) Cherry and Dale Schwartz; granddaughter, Melissa Metzger; and great granddaughter, Adalynn. The family will receive friends from 3:00 to 8:00 PM (with a 7:00 PM vigil service) on Thursday, December 6, 2018, at Sawyer-Fuller Funeral Home, 2125 12 Mile Rd., Berkley, MI. Funeral service will be at 11:00 AM Friday at Our Lady of La Salette Catholic Church, 2600 Harvard Rd. (corner of Coolidge Hwy. ), Berkley, MI. Interment will be in Roseland Park Cemetery, Berkley, MI, at a later date. In lieu of flowers, memorial contributions to the Detroit Public Library Foundation would be welcomed. To send flowers or a remembrance gift to the family of Ralph Clarence Schwartz, please visit our Tribute Store. There will be a Vigil service at 7:00 PM. Mr. Schwartz cremated remains will be instate from 10:30 AM until the time of Mass. "Email Address" would like to share the life celebration of Ralph Clarence Schwartz. Click on the "link" to go to share a favorite memory or leave a condolence message for the family.